Did you know that in our country you will find one of the greatest pieces of the Cross of Christ? This fact is not known by many Spaniards, but it is indeed, true. The Lignum Crucis (wood of the cross) can be found at the Monastery of Santo Toribio de Liébana in Cantabria. The relic arrived in the hands of Toribio de Astorga, in the Middle Ages, from Jerusalem. Because of this, on September 23, 1512, July II granted to the city a papal bull which stated that each year in which the 16th of April, the Day of Santo Toribio, fell on a Sunday, they would celebrate a jubilee year, making the monastery a pilgrimage center. This is how the Camino Lebaniego was born. However, success of this path is not only due to this factor. First, it is a striking destination because it houses part of the cross; Second, because the monastery houses the remains of the Saint, which is said to have healing powers. 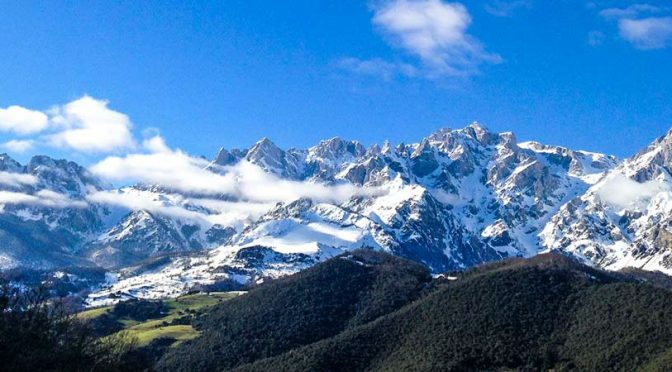 Third, because of its link to two of the routes leading to Santiago de Compostela: The Camino of the Norte and Camino de Francés, making Cantabria the only place in the world with two pilgrimage paths. Apart from the religious and historical elements, we cannot forget that, without a doubt, the landscape and nature make this road a magical route, full of lush forests, paths between trees and lots of fresh air. Some of those who have had the luck to do this journey have described it as a quiet route, with only the sound of nature, a place where you can find real peace. The Lebaniego Road has its own accreditation, the Lebaniega. It is collected in the Parish of Christ, in Santander, and can also be requested by email. As in the Camino de Santiago, the notebook must have a stamp of each of the stages; At least three of them have to be completed. Accreditation can be done both in roadside churches, in shelters or in tourist offices. This part of the Camino begins in the Gothic-style church of Our Lady of the Angels. The crucial stretch of this voyage is through Muñorrodero. In this locality there is the separation of the pilgrims who go to the Camino de Santiago and those who continue the pilgrimage to the monastery of Santo Toribio. 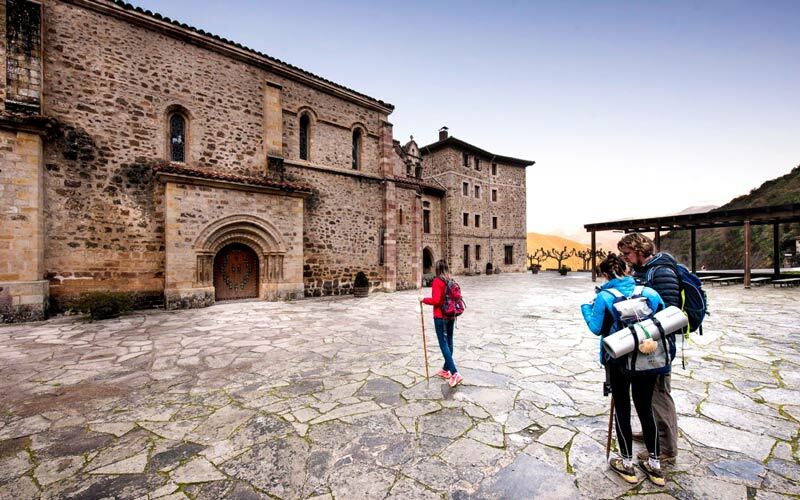 At this stage of the Camino Lebaniego, you will be able to visit many medieval buildings such as the remains of the Hospital de la Concepción (15th-16th century), the Convent of San Luis (15th century) and the medieval towers of Estrada and Cabanzón. This is the longest portion of the Camino, but the monuments you can visit will make you forget the increased mileage. At this part, there are two of the most important architectural treasures in Cantabria. One of them is the Church of Santa Juliana, located in Lafuente. It is a building of Romanesque style with Proto-gothic influence declared a Good of Cultural Interest. Secondly, one can see the Temple of Santa Maria de Lebeña, which is located in the same place that the church is named after. Built in the year 925, it is one of the most valuable models of the Spanish Romanesque. The last stage is the shortest. As we have seen in the previous stages, at this stage of the Camino Lebaniego we can also find architectural treasures. One of them is the Tower of the Infanta, in Potes, from the 15th century. It is located in the old part of the city, considered a Historical-Artistic Collection, and is currently used as a town hall. Finally, and arriving at the end of the road, is the Monastery of Santo Toribio, the goal of the pilgrimage. The complex, built between the 13th and 18th centuries, contains Romanesque, Gothic and baroque style features. This is where the remains of the Saint and those of the Lignum Crucis are found. One of the most relevant parts is the Door of Foregiveness, which opens every jubilee year. The portico, of archaic Romanesque style, has the images of the 15 saints of Lebaniegos in bronze along with a reproduction of the part of the Cross of Christ.